Tromso, a seaport and cathedral town on the northern coast of Norway, is some distance north of Narvik, from where it can be reached by road and sea. Historical Information During the Second World War, Norway was of strategic importance to the Germans. Their invasion on 9 April 1940 was sudden and widespread and despite Allied intervention, the entire country was under German occupation by early June. 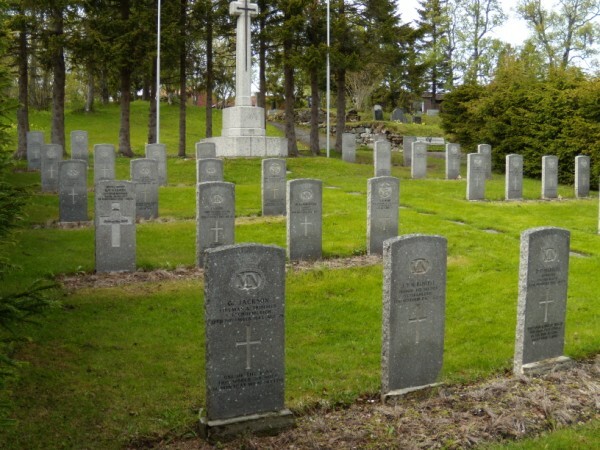 There are no Commonwealth war cemeteries in Norway, those who died there being buried in civil cemeteries and churchyards. Many sailors and airmen died in the Arctic convoys which carried supplies from the United Kingdom to north Russia around the North Cape. Many of those who are buried at Tromso Cemetery have been moved there from Arctic ports near Hammerfest and Kirkences. The Commonwealth plot at Tromso, the most northerly in the world, contains 37 Commonwealth burials, three of them unidentified. There is 1 grave from the 1,531 servicemen lost with HM Ships Glorious, Ardent and Acasta at Tromso Cemetery, that of Donald Conrad Morton, lost with HMS Glorious: Commonwealth War Graves Section Please click on the following link for further information.